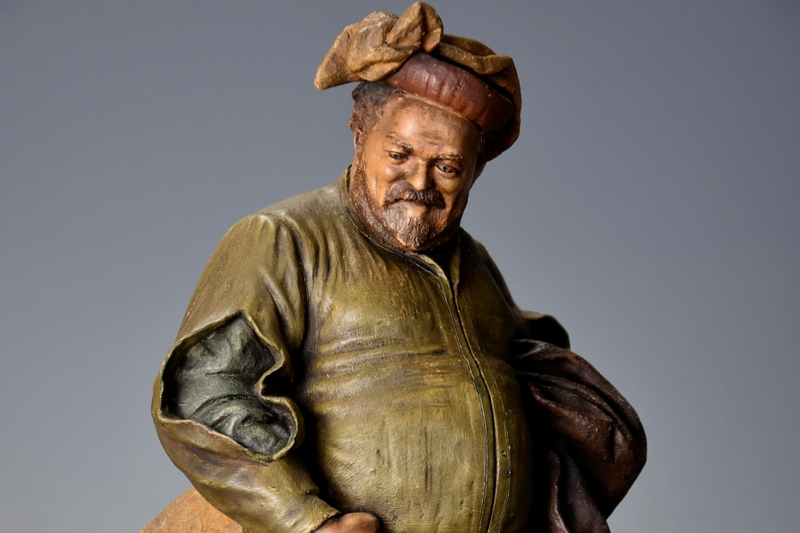 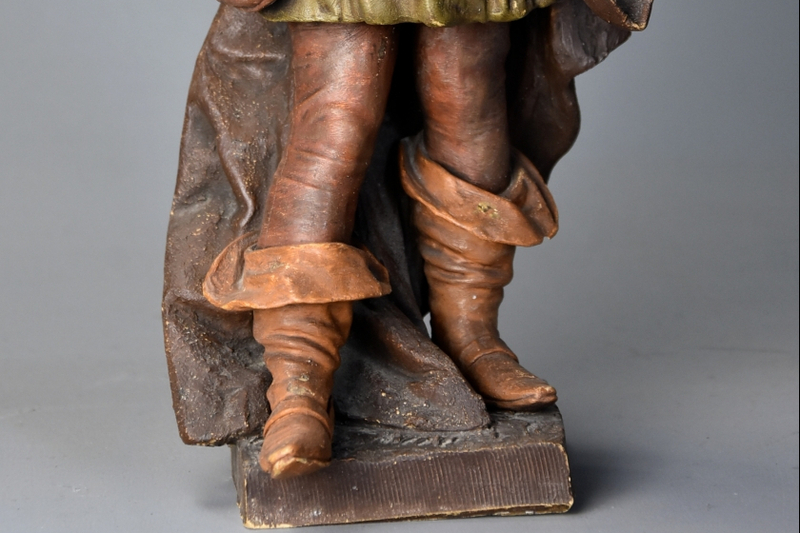 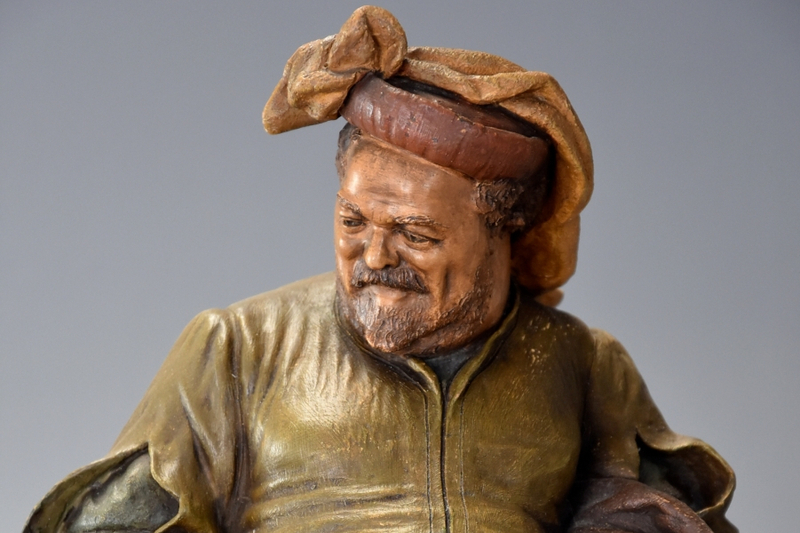 A late 19th century terracotta figure of ‘Falstaff’ by Friedrich Goldscheider.This nicely cast figure depicts Sir John Falstaff, the portly fictional comic character created by William Shakespeare, in traditional dress, with makers mark to the back ‘F.Goldscheider 1106 Reproduction Reservee’.Friedrich Goldscheider founded the Goldscheider Manufactory & Majolica Factory in 1885 and became one of the most influential ceramic manufacturers of terracotta, faience and bronze items of the time.This piece is in very good original condition, is of stable construction and can go straight into a home. 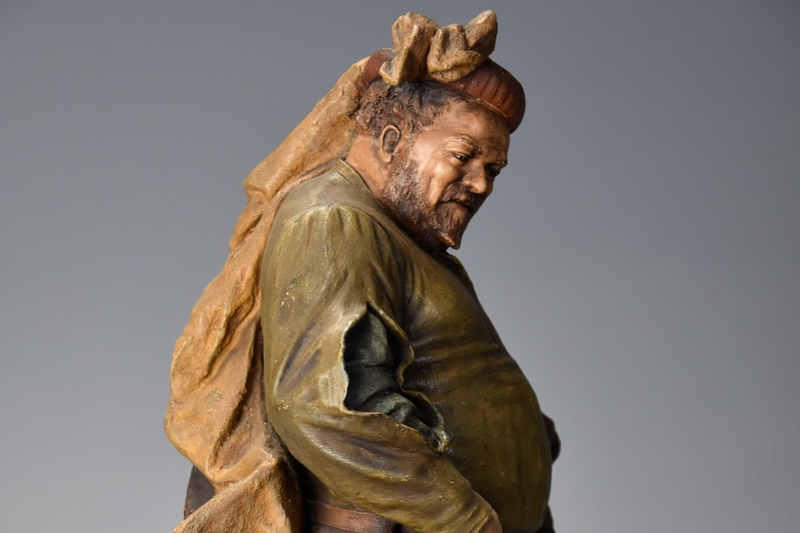 H. 38 W. 19 D. 15 cm. 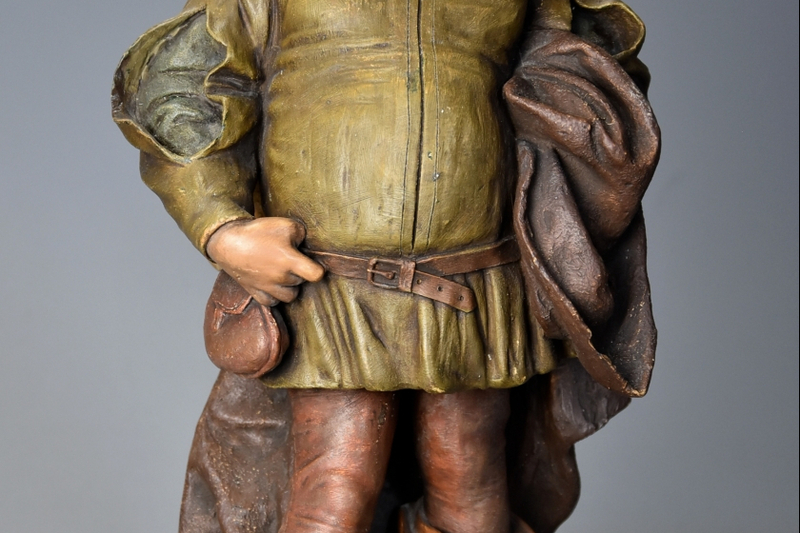 H. 15 W. 7 D. 6 in.